Want to keep your lawn looking fresh-cut and clean without the hassle of doing the job yourself? 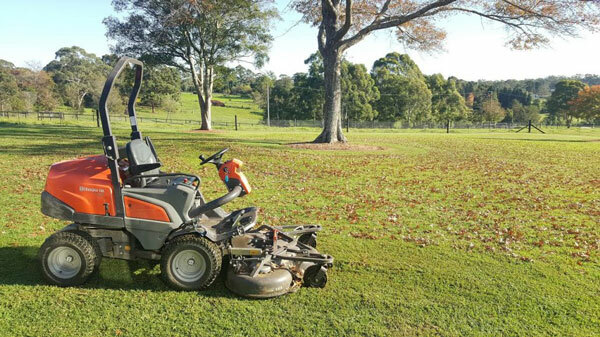 Dual Group offers residential, strata and commercial acreage mowing across Sydney. Dual Group is fully licensed, insured and experienced in caring for a range of lawns and gardens. No matter how messy or unkempt your lawn is, our specialist equipment provides a clean and consistent cut every time. Rest assured, your lawn will get the right treatment to enhance the beauty and value of your property. At Dual Group, our Sydney team are not only experts in acreage lawn care – but also weed control and garden maintenance. Weed control is a constant source of frustration for homeowners and businesses. No matter how many times you pull them out, they just keep coming back! At Dual Group, not only does your lawn get a quality cut… your pesky weeds get removed too. The team uses safe and eco-friendly herbicides to remove noxious weeds and invasive plants. Targeted control methods are used to keep your soil and surrounding plants healthy and happy. All herbicides are low-VOC to protect the environment and prevent harmful exposure to your family, pets and wildlife. Is your garden looking a little worse for wear? After acreage mowing the land, we can provide a garden maintenance plan that’ll put a smile on your face. Whether your plants need pruning or trimming, mulching or irrigation control – no job is too big or too small. With our natural and hands-on approach to garden maintenance, you get personal treatment tailored to the needs of your plants. Meaning they can thrive and blossom throughout the entire year. After a visit from us, you’ll be proud to show off your garden to the world. Are you tired of wading through tall grass or pulling out weeds from the ground? There’s an easier way. Call 1300 303 539 or send your online enquiry to get a FREE QUOTE from a local acreage mowing expert in Sydney.